Kwik Kar Marsh provides the absolute best service in town. While watching “Beauty and the Beast” with Corrine, Lumiere cordially invites Belle to “Be Our Guest! 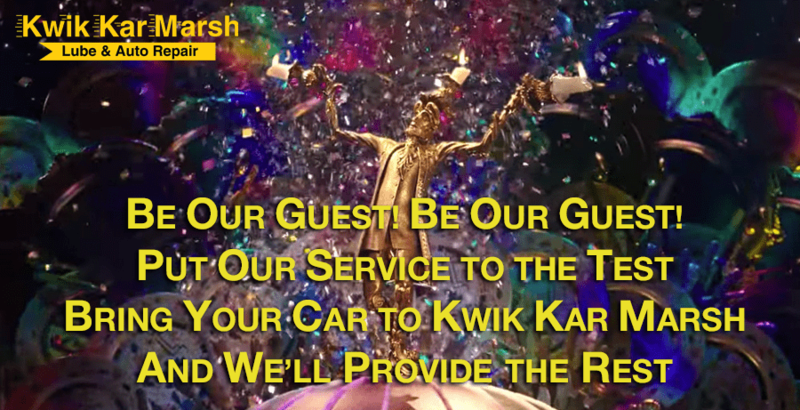 Be Our Guest!” and I couldn’t help but apply the same scenario to automotive service and repair. Most people dislike and fear taking their car to the dealer or lube center for an oil change and I understand why. The industry is plagued by unscrupulous practices and it’s caused consumers to be on high alert when visiting an automotive repair and maintenance shop for the first time. Well, I’m here to say that we do things the right way, the way things should be done. 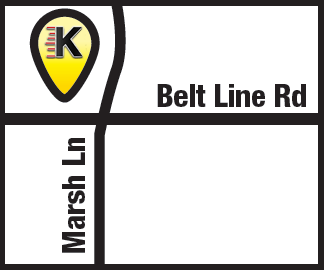 Kwik Kar Marsh is located at 1049 Marsh Ln at Beltline Rd and proudly serves residents in Addison, Carrollton, Farmers Branch, Dallas, Plano, Denton, Frisco, Little Elm and other cities in North Texas. There is a reason why customers go out of their way to come here because they know we have their best interest in mind, each and every time.